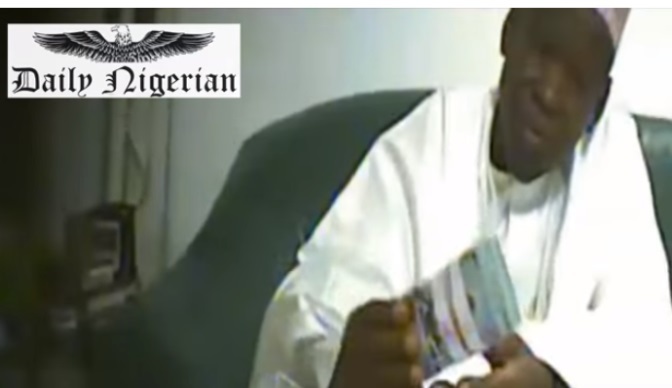 Following reports that Governor Abdullahi Ganduje was caught on camera taking bribe, the ruling party has reacted. The All Progressives Congress (APC) has broken its silence on the allegations of bribe-taking levelled against Kano Governor, Abdullahi Umar Ganduje. According to a report by Premium Times, the party said since Ganduje had gone to court, it could not take a position on the matter. “The matter is in court, the governor has taken the medium to court,” party spokesperson, Lanre Issa-Onilu told Premium Times. The statement is coming after the Kano House of Assembly opened probe on the videos showing Ganduje, collecting stacks of dollars in bribe.